Extremely graphic footage featuring US actor and rapper Yasiin Bey, otherwise known as Mos Def, has revealed what the standard operating procedure for force-feeding Guantanamo Bay hunger strikers may look and feel like. 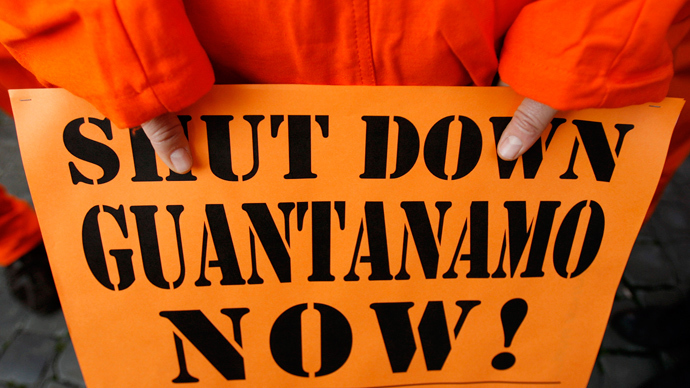 The Guantanamo Bay hunger strike reached 150 continuous days on July 5, with 45 of the 106 hunger strikers being force-fed. In an effort to raise awareness of the issue, Mos Def volunteered to undergo the painful procedure used on the detainees daily. His experience was captured in a shocking four-minute film released by Reprieve Human Rights organization and directed by award-winning director Asif Kapadia. The clip first shows Mos Def dressed in a Gitmo-style uniform. He is being shackled and strapped into a chair with his hands and head tightly belted. 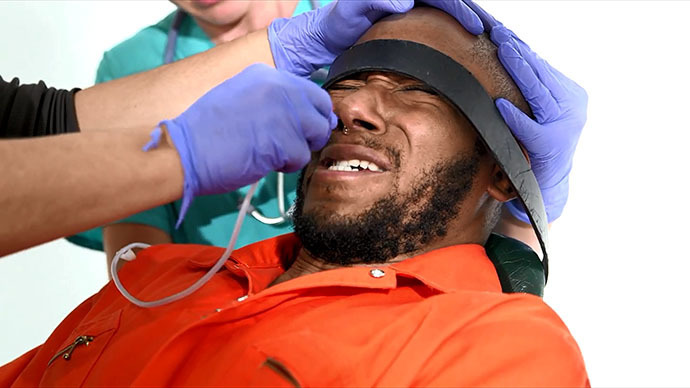 One person acting as a prison doctor holds the rapper’s head, while another one forces a plastic tube down his nostril. The element of theatricalism created by HD Cam close-ups and studio lightning vanishes as soon as Mos Def obviously reacts to the excruciating pain. Mos Def coughs, groans, and twists as the tube rushing down his esophagus brings tears to his eyes. While his whole body bends in agony, another man hurries to the scene to hold him down. The tube is quickly removed. A genuine expression of terror crosses Mos Def’s face when a doctor moves back to re-insert the tube. The rapper begs for the procedure to be stopped. Three men start forcing the rapper back into the chair as he cries out and tries to resist. But they soon realize that Mos Def is not acting – he is in serious pain. “I can’t do it,” Mos Def says before breaking into tears. 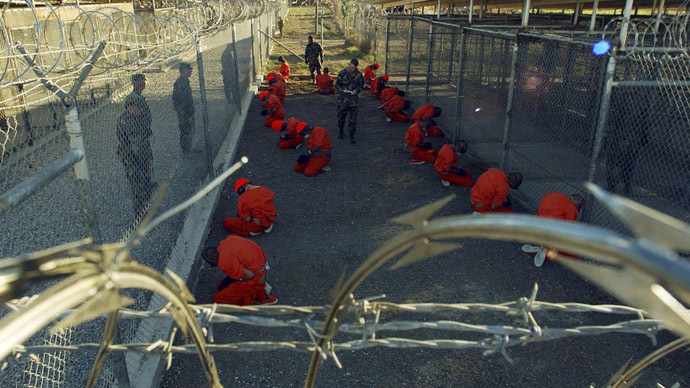 The viewers are then reminded that every such procedure in Guantanamo typically takes two hours to complete. “I didn’t really know what to expect,” Mos Def said after the experience. Since being posted to YouTube by Reprieve, the video has begun to go viral. Some 45,000 viewers have seen the footage so far, and a great deal of conversation is taking place online regarding the video and the broader “#Standfast” campaign. 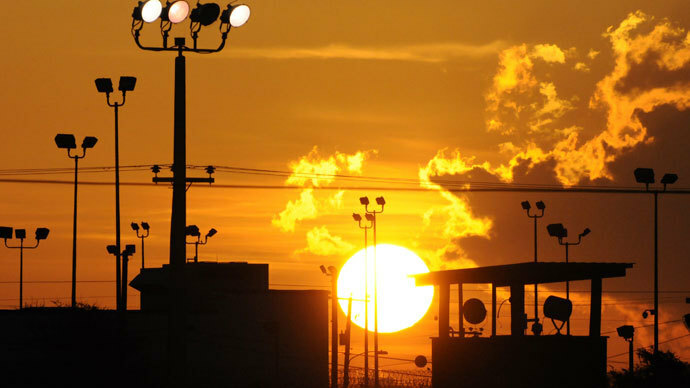 The ongoing hunger strike - particularly the use of feeding tubes - has become a rallying point for those supporting the closure of the detention center, or at least the transfer and repatriation of the many prisoners who have been cleared for transit or outright release for years. RT has been following the hunger strike day-by-day. “The detainees are looking for real concrete signs their needs are being met and not ignored. An easy way to do that is to begin to send the cleared Yemenis back home to Yemen where their government wants them,” Morris Davis, the former Chief prosecutor for terrorism trials at Guantanamo, told RT. As RT reported, Islamic leaders have pressured President Barack Obama to stop force-feeding Guantanamo Bay prisoners during the Ramadan fast, which began on July 8 and end on August 7. “When the government is force-feeding someone, especially during the month of Ramadan, they are actually interfering with the process of our religion, one to the main pillars of our way of life. So we feel that the government is acting illegally according to the Constitution and it is also a humiliation,” Muslim activist Imam Abdul Alim Musa told RT. As the controversy surrounding the force-feeding of hunger strikers continues to mount, a US district judge ruled this week that only President Obama holds the necessary authority to stop the practice. 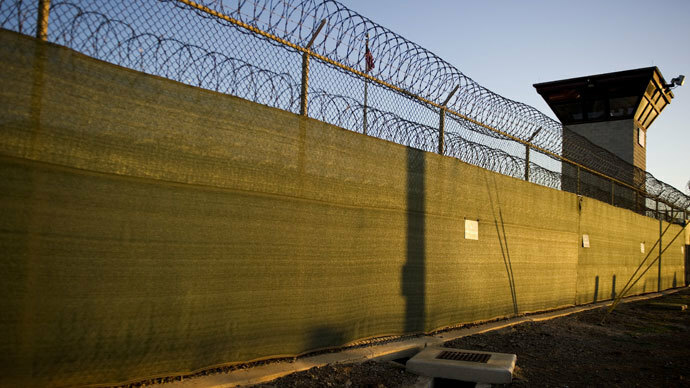 In her ruling this week, Judge Gladys Kessler wrote that the court did not have sufficient jurisdiction to intervene in cases concerning the detention or treatment of alleged enemy combatants. She added that the injunction request made on behalf of inmate Abu Wa’el Dhiab had "set out in great detail in his papers what appears to be a consensus" that force-feeding does indeed violate international law. Despite that determination, Kessler also added that the injunction request made on behalf of inmate Abu Wa’el Dhiab had "set out in great detail in his papers what appears to be a consensus" that force-feeding does indeed violate international law. As the hunger strike in Guantanamo surpassed the 150 day milestone, military attorney, Lt. Col. Barry Wingard told RT that his client’s health is quickly deteriorating. A long list of international NGOs and medical organizations have already denounced the practice of forced feeding as a violation of human rights.